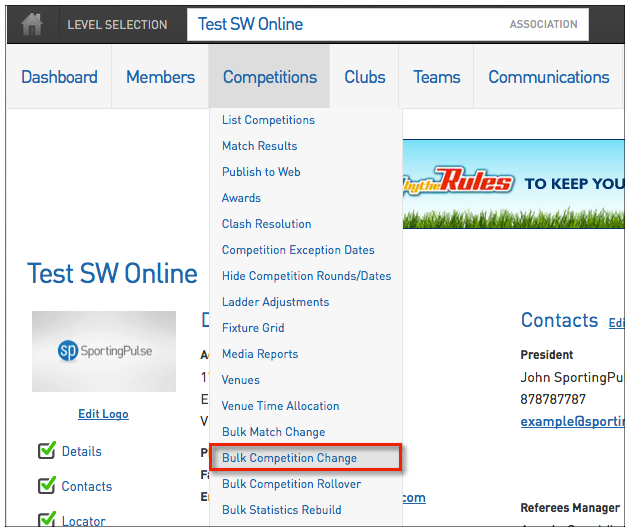 You'll notice now in your database when you click through to your Competitions page there is a 'Bulk Competition Change' link at the top of the page (as below). The basic premise for this functionality is that if, for example, you have 15 competitions that you wish to hide from your website or that you wish to update the website grouping for, you can now do it on bulk rather than individually! 1. Hover over Competitions and click Bulk Competition Change. 2. 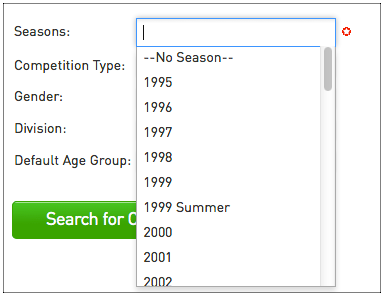 Select the Competition season(s) of the competitions you wish to change. 3. Select which competitions you wish to apply the changes to at the top of the screen. 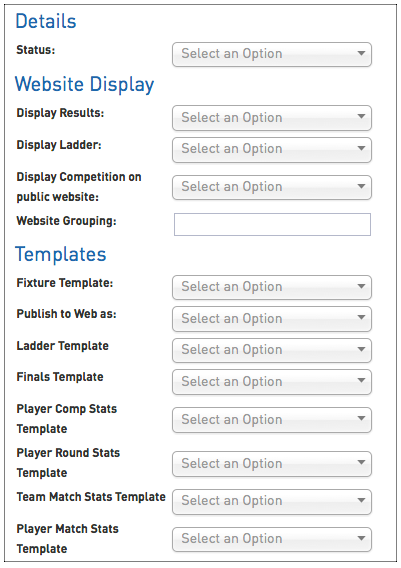 Then enter in the Competition information you wish to change from the drop down lists at the bottom of the screen. 4. Hit the Bulk Update button to save/apply the changes to your competitions.